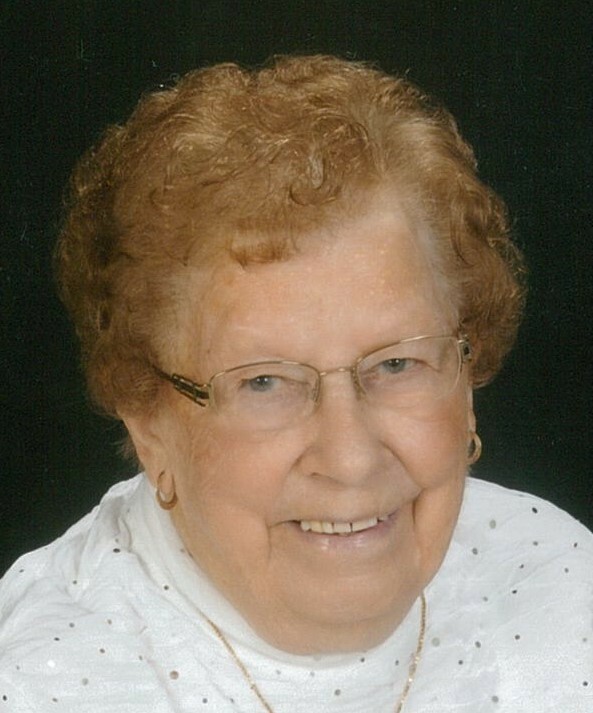 Provide comfort for the family of Marie Prokopowicz with a meaningful gesture of sympathy. Passed away peacefully on Thursday, December 20th, 2018 at Brucelea Haven in Walkerton with her family by her side, Marie Florence Prokopowicz (nee Cassidy) at the age of 93. Loving mother of Anne Lipskie of Kitchener and cherished grandmother of Rosanne Lorentz, Dianne Lloyd and Annette Freiburger, great-grandmother of Jamie, MaryAnne, Angela, Ashlynn and Jack and great-great-grandmother of Daniel, Natalie and Johnathon. Dear sister of Geraldine Schlosser and Donelda Miller both of Walkerton and sister-in-law of Shirley Schenkel of Cambridge. Marie was predeceased by her husband John; grandson Donald John Gould; son-in-law Keith Lipskie; sister Mildred (Lyman) Paradis; brothers Joseph, William (Helen), Sylvester (Vera), Basil (Kathleen) Patrick and Edgar Cassidy and parents Richard and Merle (nee Eckensweiler) Cassidy. Marie's family will receive relatives and friends from 2:00 pm until 4:00 pm and from 7:00 pm until 9:00 pm on Wednesday, January 2nd, 2019 at the Cameron Funeral Home, Walkerton (1106 Yonge St. S,). Mass of Christian Burial will be held on Thursday, January 3rd, 2019 at 11:00 am at Sacred Heart Church, Walkerton (221 Victoria Street). Rev. Les Szczygiel officiating. Interment in St. Ann's Cemetery, Riversdale. As expressions of sympathy, donations to Walkerton & District Hospital Foundation or Heart & Stroke Foundation would be appreciated by the family. Cards available at the funeral home. Visit www.cameronfuneralhomes.com to view Marie's memorial. We encourage you to share any memorable photos or stories about Marie. All tributes placed on and purchased through this memorial website will remain on in perpetuity for generations. In loving memory of Marie - such a lovely person; so interesting to talk to & spend time with. We'll miss her ~ it was a pleasure to know her.